We capture, analyze and enrich CRM data to deliver best in class results that improve the effectiveness of your marketing campaign. Why Choose CRM Data Enrichment from InfoClutch? We clear duplicate, outdated & incorrect data. We validate & verify the entire CRM data. We renew old & obsolete information. Data Enrichment is nothing but enriching data with everything that you need, including verified email address, telephone number, company size & type, postal address and annual revenue. CRM Data Enrichment helps you to drive leads and generate actionable insights for your sales and marketing success. We at InfoClutch offer you with real-time data enrichment for all existing and incoming leads helping you to spend less time on your research and invest more time getting returns. Our team of data experts contacts our other data partners, vendors to ensure that you receive most recent and accurate information about your customers and clients. 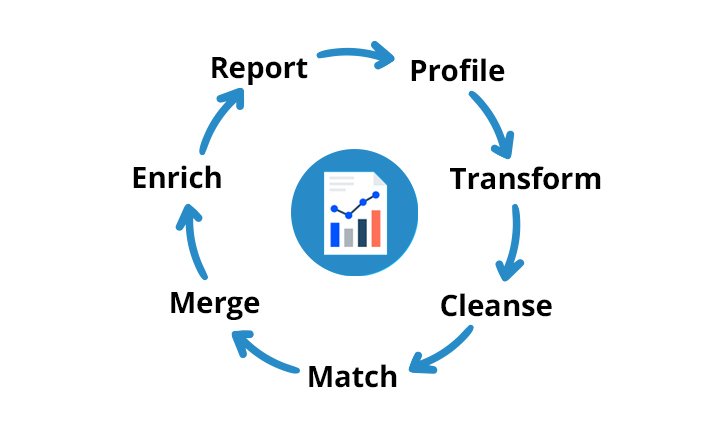 How we work: InfoClutch is here to enrich your existing data into the new one, no matter what CRM platform you have been using. We add demographics, email address, telephone numbers or any missing fields for the company or the organization that you are looking for. Our goal and purpose here is to ensure that you see progress in revenue growth and the customer engagement.